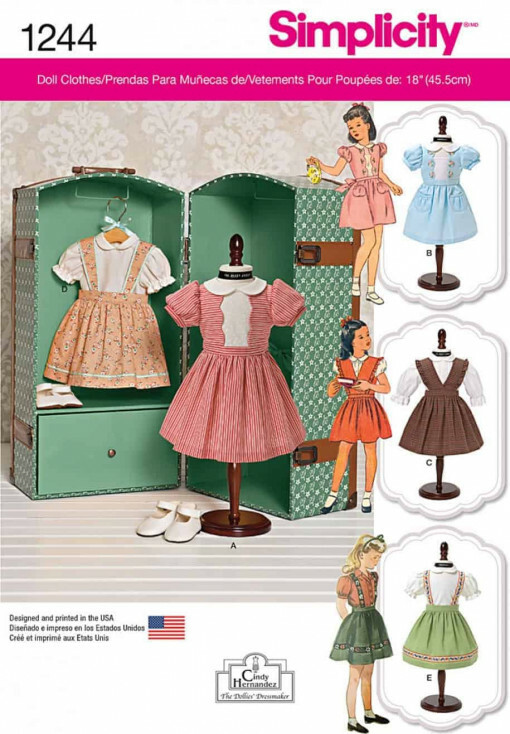 Vintage party and play clothes for 18″ doll. These dresses, tops and jumpers are inspired by patterns from the Simplicity archives. The Dollies’ Dressmaker for Simplicity.